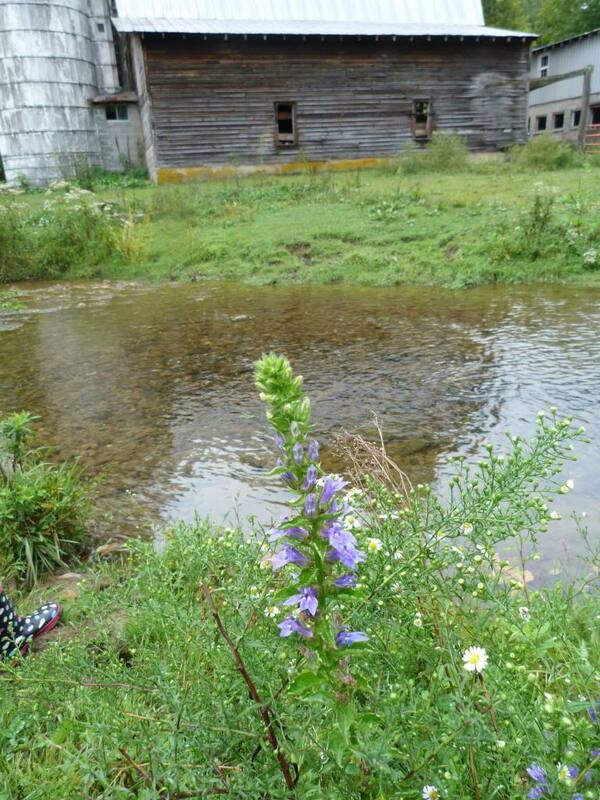 I’m standing in the cold mountain stream that runs in front of our farm. I’m here to harvest sand for my chickens…. Late last week I attended a legal conference. Legal conferences are not usually a serene, enchanting, pleasant affair. But this one surely was. It wasn’t the conference that was serene, it was the venue where it was held. And my trip back home. It was in Asheville, North Carolina at the Grove Park Inn. Leaves were beginning to turn from green to red, yellow, orange. Life is tough, I tell you.